Healthcare Compliance Inc. ® (HCI) is nationally recognized for our expertise in the Affordable Care Act (ACA). HCI supports ALE clients with a Hands-On Service Platform with Copyright Workbook Templates and a dedicated Account Manager. 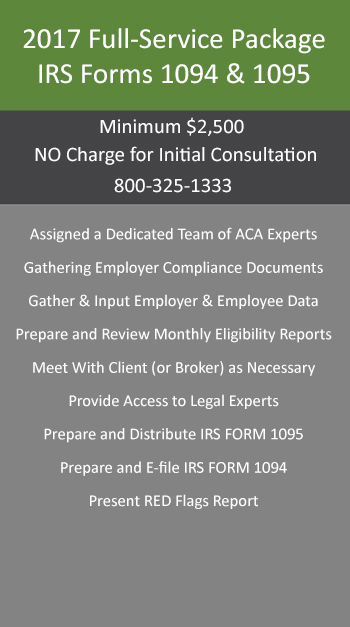 We guide each client every step of the way, from Data Gathering, to Distribution, to Filing IRS 1094 & 1095 Forms. Healthcare Compliance Inc. ® (HCI) is a broker-friendly company who will help you RETAIN your large group business. 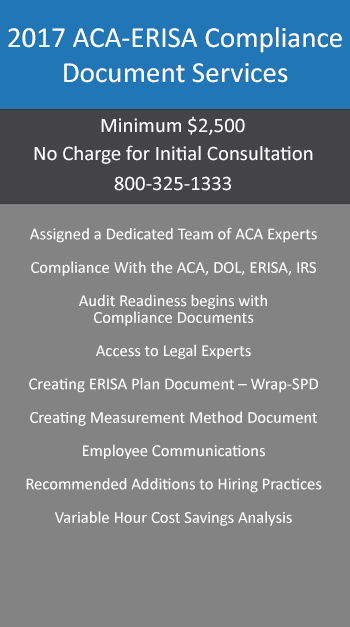 Don’t make a mistake by avoiding the ACA compliance conversation or neglecting to offer ACA compliance solutions. 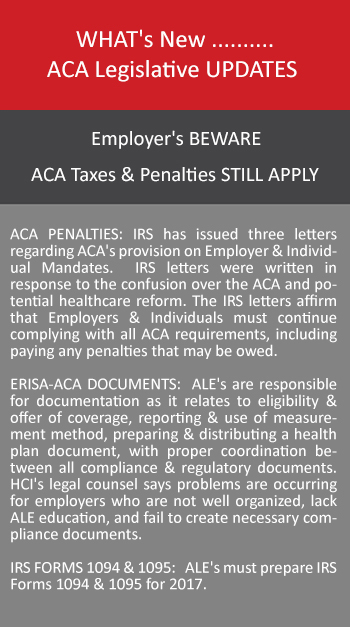 HCI has a team of ACA Compliance Facilitators to guide your company through a very complex reporting requirement. Our Found, Team Members, Legal Consultants are all available to our clients. Navigating this complex ACA reporting requirement can be made easier, but only with the right team, utilizing the right process. The driving force behind HCI is its people, their passion and their enthusiasm. Knowing the diversity of viewpoints surrounding a very controversial law, the mission of HCI is to provide business owners and employers with step-by-step assistance to make sense of, successfully navigate, and adapt quickly to their new responsibilities under the Affordable Care Act (ACA).